Arrived with the intention of fishing for Rudd at 11.30am. With the moon at it's highest point at 12.54pm I thought the fish might be feeding and they did not dissapoint, with constant bites coming over the next three hours or so before the swim went absoloutly dead. The reason for this suddenly became crystal clear to me 30 minutes later. I finally got a bite at this point and struck into a good Rudd of about 3/4 pounds. After a good tussle on a light swingtip rod I was drawing the fish across the surface when it was engulfed by a very large Pike. The line immediatly parted and the Rudd was gone. 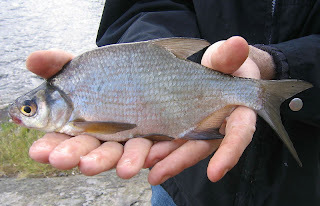 I rigged up a fixed patternoster with float immediatly on the pike rod and then spent another 30 minutes trying to catch bait, which eventually came in the form of a small Bream. 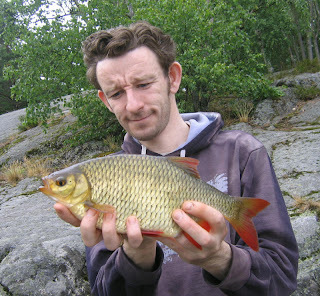 The bait was only in the water 2 minutes before it was taken and I met with solid resistance, the fish initially refusing to move, so I pulled it towards me. As the fish came into view I was gobsmacked at the sight of the fish, an easy 20lb, while at the same time the fish suddenly realized something was wrong and bolted for the middle of the lake, making three runs that took 50 yards of line from the reel. The fish then sulked around for 4 or 5 minutes as I gradually gained most of the line back. Just as I thought I had the upperhand it bolted along the bank to my right and fouled my line with several lengths of heavy weed and then, sickeningly, the line went slack and I realized I had lost the fish, I was completely gutted. 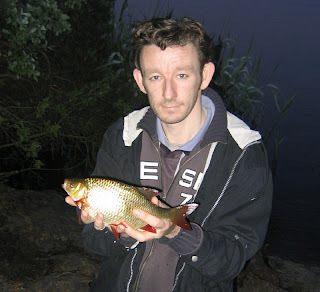 Despite the dissapointment about 40 Rudd were taken, the best 4 fish weighing .27kilo(9.5oz. ), .28kilo(9.9oz. ), .32kilo(11.3oz. ), .35kilo(12.35oz.) 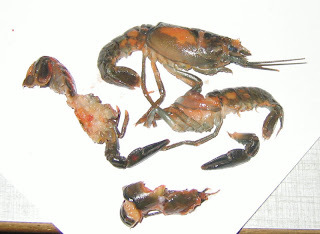 These are the 4 fish photographed above. 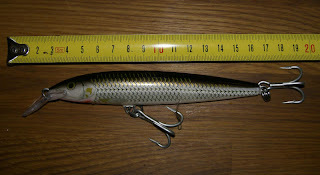 The largest, being over 3/4lb, earns 1 point on the league table. 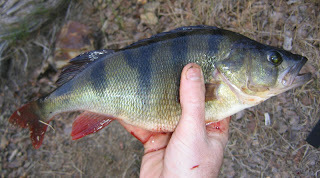 A poor days fishing, Rafa and I were out all evening, with just one good fish taken by myself, a Perch weighing .53kilo(1lb 3oz.) 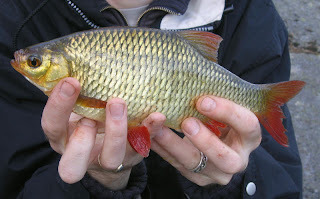 The fish gives 2 points to the league table. 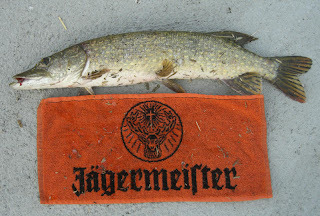 The only other highlight was a small jack Pike which attacked a small Roach I was reeling in. 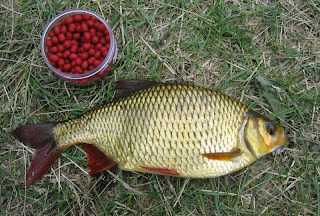 The fish released the fish at the bank and I baited the same Roach up under a float on wire trace. 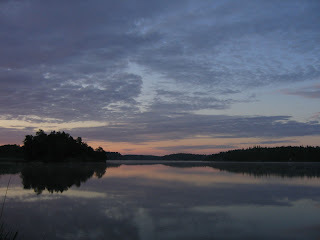 It was immediatly taken only for me to miss the fish again. Drevviken was the venue today in still, humid conditions. Arrived with Rafal at 16.45 and fishing was brisk for the first hour. Rafals first cast with a mepps spinner produced a Perch, which was soon followed by a small Pike which grabbed the lure as he was taking it from the water. I groundbaited the swim and half an hour later came up trumps on the legered worm with a superb Rudd, a personal best which tipped the scales at .69kilos(1lb 9oz.) A really beautiful specimen which gave me 6 points. 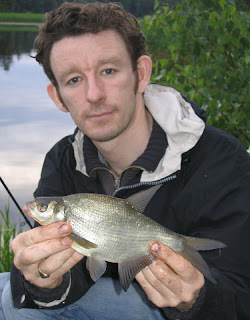 A Bream and some small Perch follwed this before Karl arrived and we moved swim after it went quiet. 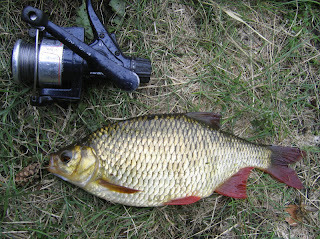 The new swim produced 2 more Rudd for me weighing .4kilo(130z.) and .28kilo(90z.) The larger of these two gained me another point on the table. 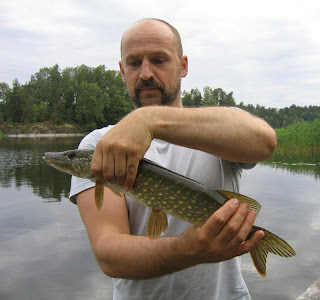 Rafal had a point for his Pike and also had another Pike a few days ago for which he also gets a point. Very windy on the lake today and this made fishing rather tough. 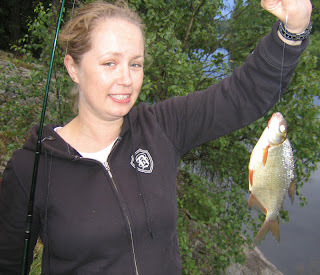 Linda and I arrived at 15.30 and immediatly settled on legering a worm on the bottom. 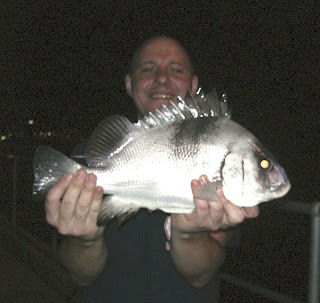 Over the course of the day several Bream and small Perch were caught. 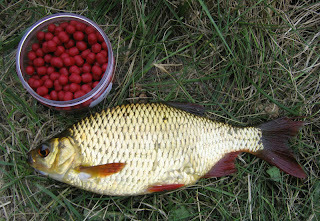 Fishing improved at around 19.00hrs when I managed to land a suprise in the form of a Rudd, while normally a surface or midwater feeding fish it took a worm of the bottom... A really well conditioned and superbly coloured fish, it tipped the scales at .29kilo(10oz. 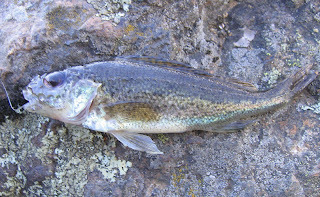 ), there are undoubtedly much bigger specimens in the lake. Linda picked up a Ruffe towards dusk, lovely little fish when viewed close up, though never grows to more than a few inches in length..
One caught by Kevin Moran while in Australia last winter. 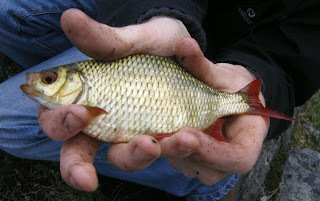 Still unidentified at the moment but was refered to as a "Mother in Law Fish" by the local anglers on the basis that they are not great to eat, so thats who you would give it to rather than eat it yourself! 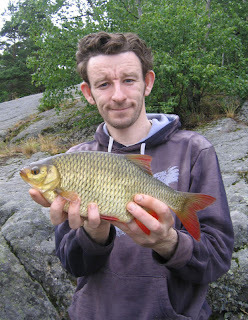 Doesn't count in the league here in Sweden, but still a great fish. Will update points table soon, takes a bit of work and need to contact everyone to see if they have more points to log. Kev's first of the year! Well, Kevin Moran finally managed to get off the mark with this 2kg(4.4lb)Pike which fell to the plug above. This gives him his first point of the season. Not far off the 5lb mark and a nice start. 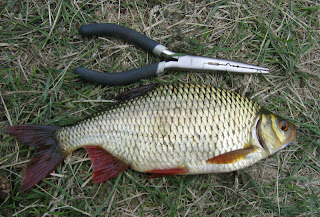 fish was difficult to land due to reeds and a lot of other bankside vegetation, which accounts for its appearance, but was returned alive and well nevertheless.